Draw inspiration from Mother Nature for your next décor project. Hang this magnificent natural slate clock in your hide-away and add some beautiful prints of shimmering dark lakes under the silvery moon. 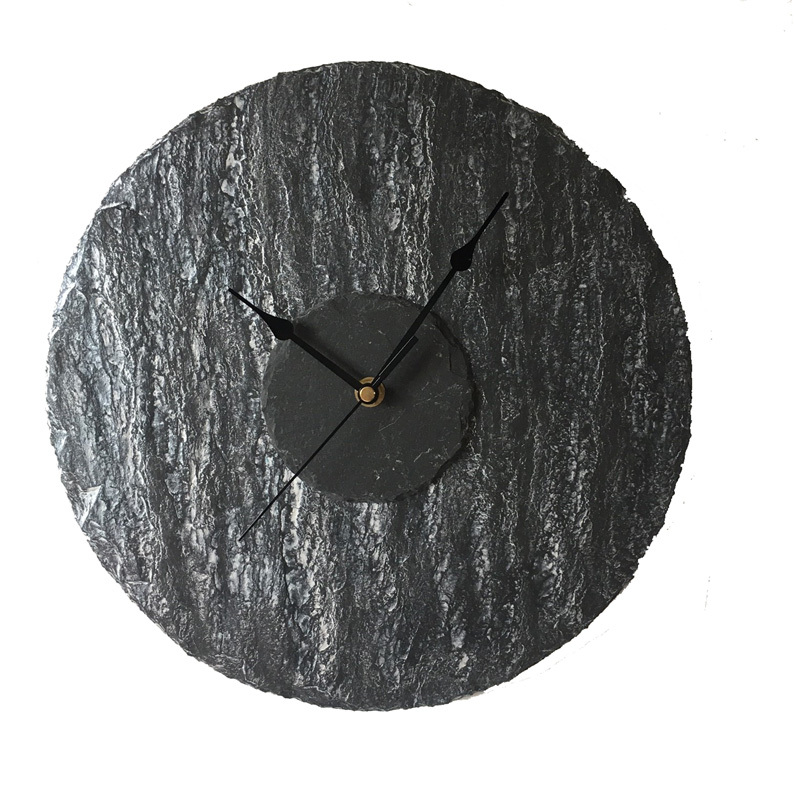 The clock is hand cut from reclaimed Cornish slate and is one-of-a-kind. Each piece offers unique textures, shades and markings. Time is marked by a set of beautiful black tear drop hands on a numberless face. Size 30cm diameter.